This fun post was brought to you by a NARS SA that gave me the wrong thing (as I previously mentioned here). 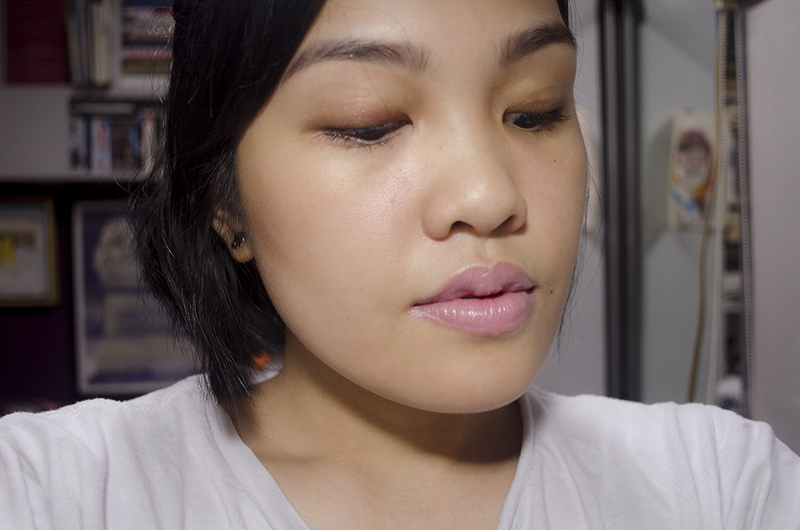 I was going to buy the NARS Yachiyo brush because it applied blush really beautifully, but the SA gave me this flat brush called the NARS Ita Kabuki brush, which became really famez after YT gurus kept using it as a contour brush. I already had a similar flat brush, the Illamasqua Blush-Up Brush, so I was a bit miffed by this mistake, but I also wanted to see if this was as good as everyone thought it was. I don’t really contour much, so I didn’t have much use for this, but IDK. I have a weird relationship with stuff, I guess. Here’s what they look like, structurally. The Ita brush is comprised of a rubbery matte plank that forks into two planks that sandwich the bristles (the ferrule is black). 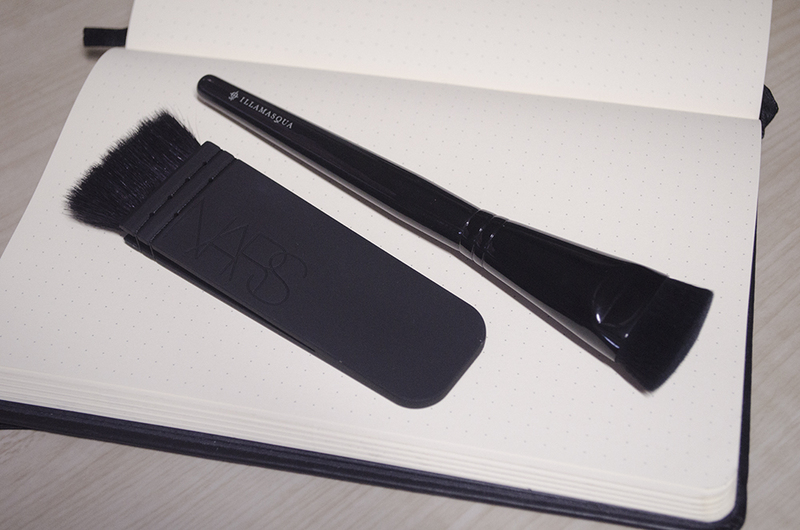 The Blush Up brush is a bit fan-like but super dense with a shiny black ferrule and handle. 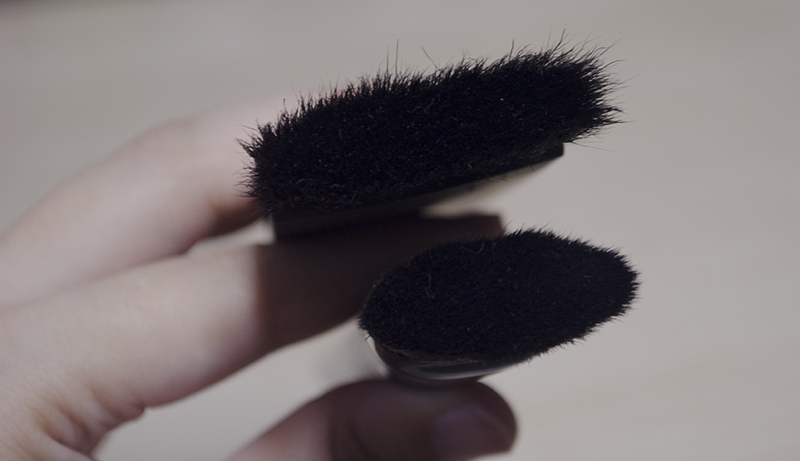 Comparing the bristles, the Ita brush has wirier bristles and a wider surface area. 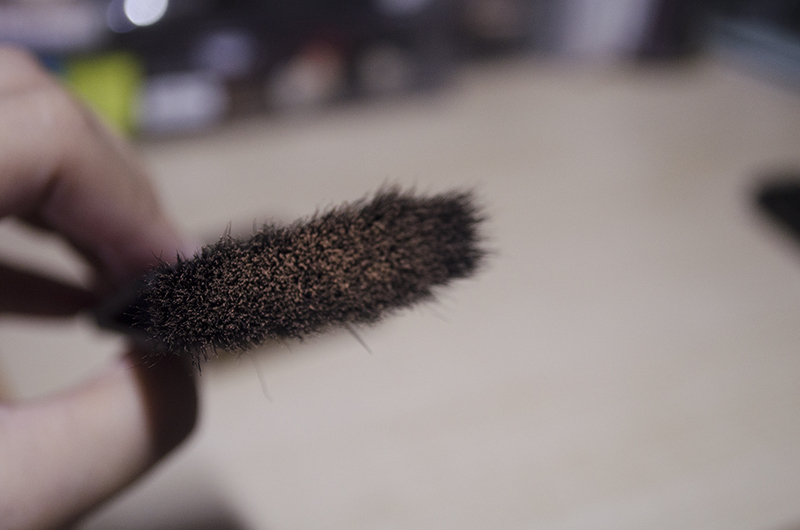 The bristles are also longer, more sparse, and coarser. 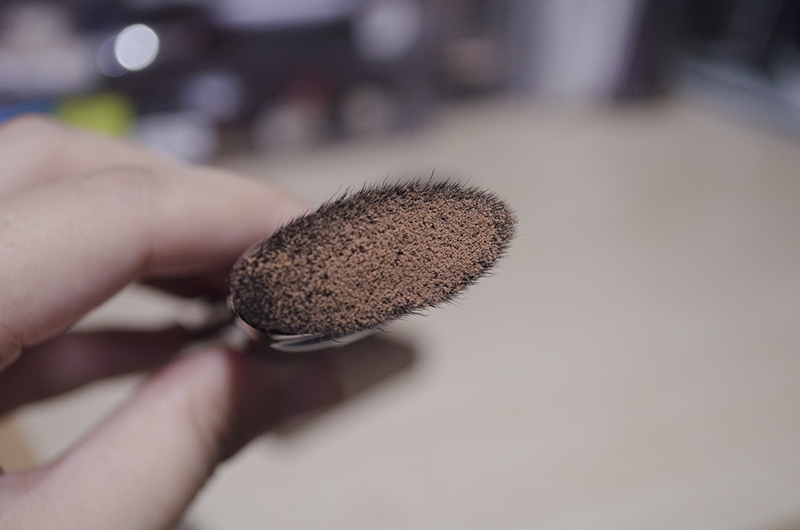 The Blush Up brush has a fatter, shorter surface area with super soft, fairly short, and super dense bristles. I used my powder bronzer (Tarte Amazonian Clay Matte & Waterproof Bronzer in Park Avenue Princess) for the purpose of this comparison. The Ita brush picks up a fair amount of product. Here’s an idea of how the brushes apply product. Let’s see how well it fares on the face. I applied it along my cheek, angled downward from the top of my ear then blended upwards. My personal preference for contour is the NARS Ita Kabuki Brush. I don’t contour much so let’s see how much I end up using this thing. 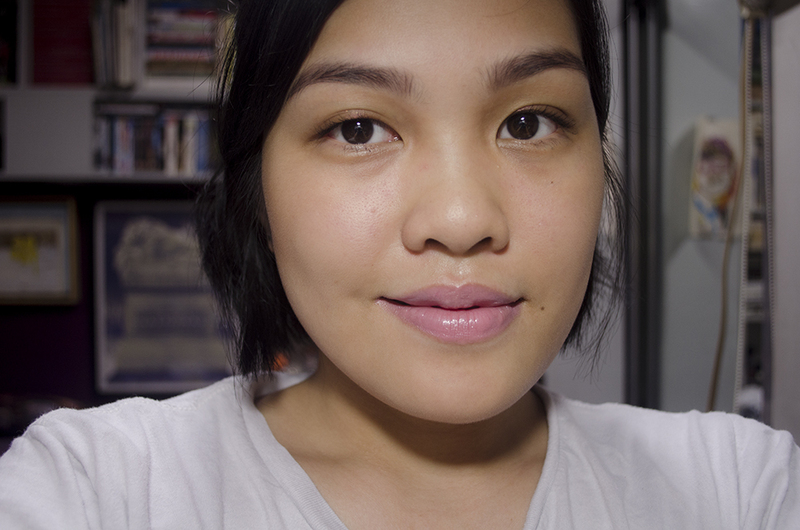 I love the Blush Up Brush for blush application, though. It was made as a one-step blush brush, eliminating the need for contour because you create such a harsh angular line with your blush already. 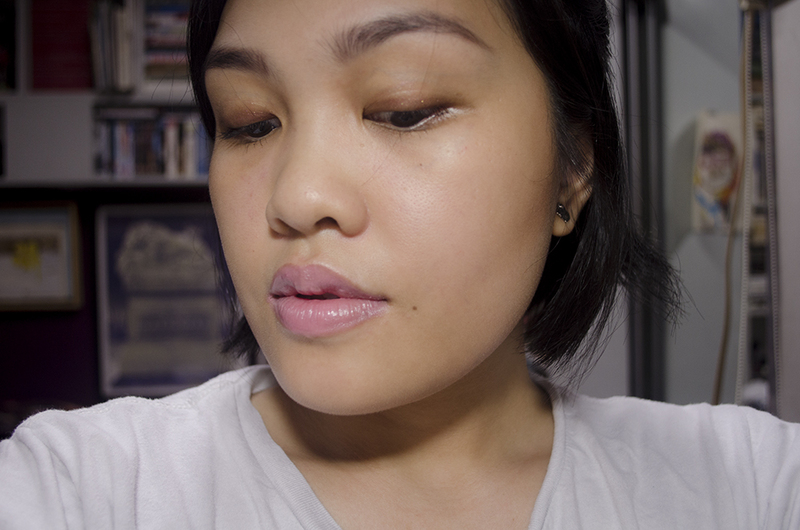 It’s a very 80s sensibility, but I think it’s generally great for blush application! The NARS Ita Kabuki Brush retails for $55. 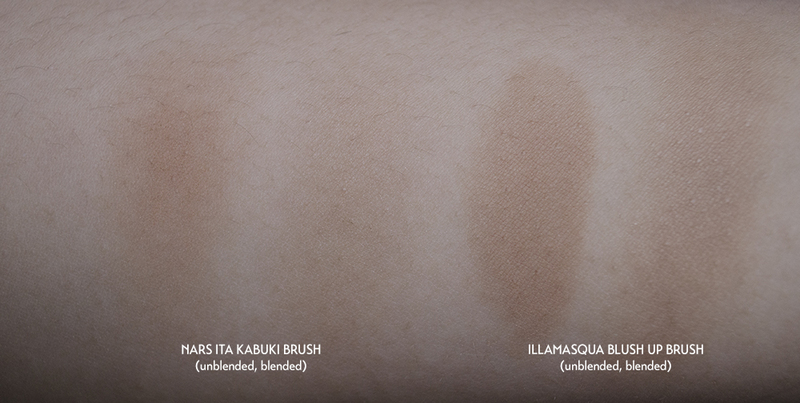 The Illamasqua Blush Up Brush retails for $40. If I had to pick just one brush, I’d probably go for the NARS one. It’s OK, I don’t think they take back used items! 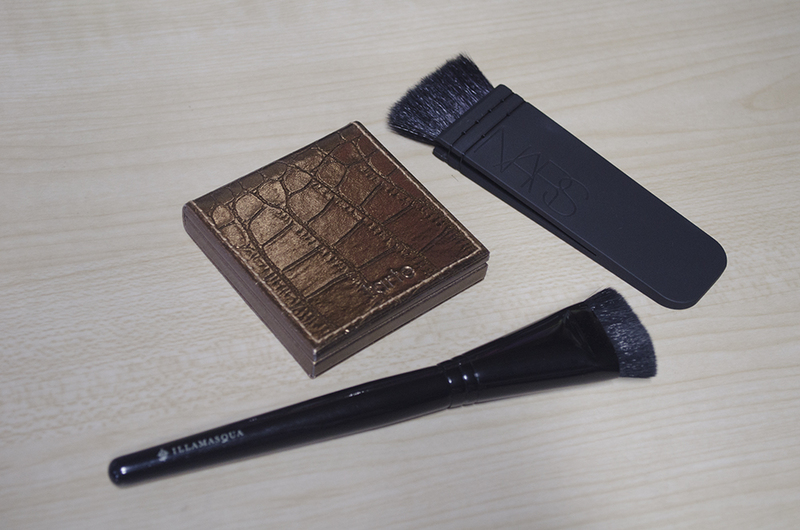 I’ve been eyeing the Nars Ita kabuki for a while now, but judging by the photos the Illamasqua brush gave a more defined contour which appeals to me. Would you say this is true or is that just the lighting? Do you prefer the Nars kabuki because it gives a more subtle contour and/or just an easier application overall? I’ve been using an angled blush brush to contour and I basically have to squish it into the flat shape of the Nars & Illamasqua brushes…so I should probably just give in and buy one of these brushes haha. I think I saw the other one you wanted, is it the traditional-looking, round face brush with a really thin handle? 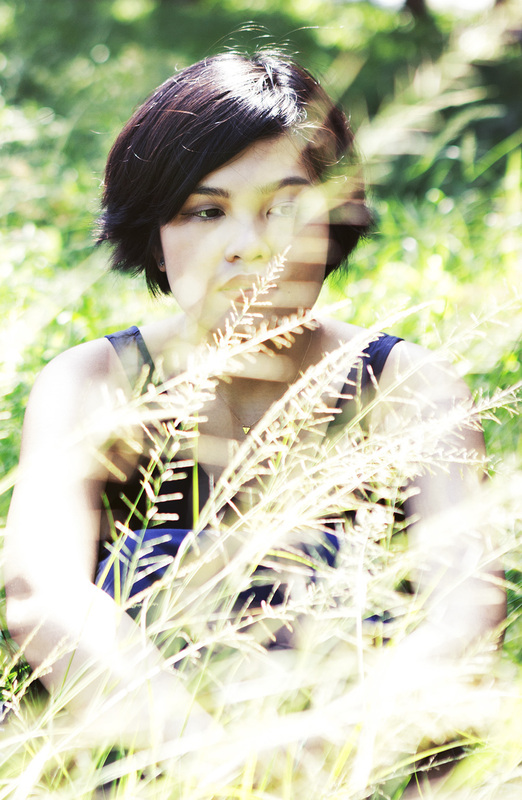 That feels really heavenly and ang cool lang talaga. It was beside some traditional-looking pots din parang makalumang haponesa lang!